The going has gotten very tough for most cryptocurrencies, digital assets, and tokens. That situation may not necessarily change anytime soon either, primarily because there is no reason for a major uptrend right now. In the case of the Electroneum price, things could get quite interesting. For now, the status quo is being maintained, which is better than most other markets. Altcoins have struggled for the past eleven months. This situation has remained bearish all throughout that period, despite some minor upticks here and there. So far, no gains have been sustained for more than a few hours, with one or two exceptions. As far as Electroneum goes, there are high expectations regarding the project and its potential value. Meeting those expectations may prove to be troublesome, for obvious reasons. These past 24 hours, however, have brought some positive momentum to the ETN market. Following a status quo in both USD and BTC value, the Electroneum price seems to maintain its own near the $0.006468 level. Although the 190 Satoshi level is holding its own as well, one would expect some minor uptick to materialize in this regard. So far, that hasn’t happened, but the day is still young. If there is one thing Electroneum does well, it is how the community remains engaged at all times. More specifically, Mr. CryptoCZ is pointing out the vast differences between this altcoin and how other forms of payment work right now. While there is a case to be made for ETN in this regard, it would appear there is still a lot of work to be done prior to engaging the masses in a convincing manner. While the Electroneum mining app on iOS is getting a lot of attention, it is worth noting the Android app also supports this functionality right now. As is usually the case, users are advised to be wary when approaching Android applications pertaining to cryptocurrency. One never knows if a fake ETN app may be lurking on the horizon waiting to abuse one’s device in the process. Despite all of the positivity surrounding Electroneum, it seems the currency still hasn’t made it tot he Binance exchange at this time. That in itself is not entirely troublesome, but one has to wonder if Binance will ever decide to change this situation. Community member C. Alan Mack wants to see this altcoin added to the exchange in the near future, but it seems unlikely anything will change moving forward. When are you going to list #ETN / #Electroneum?⚡️That’s my #1 question to any #Crypto exchange in the world 🌎 that hasn’t done so yet. The average person admires companies that recognizes other up and rising latest powerhouses of technological advancements in other companies. 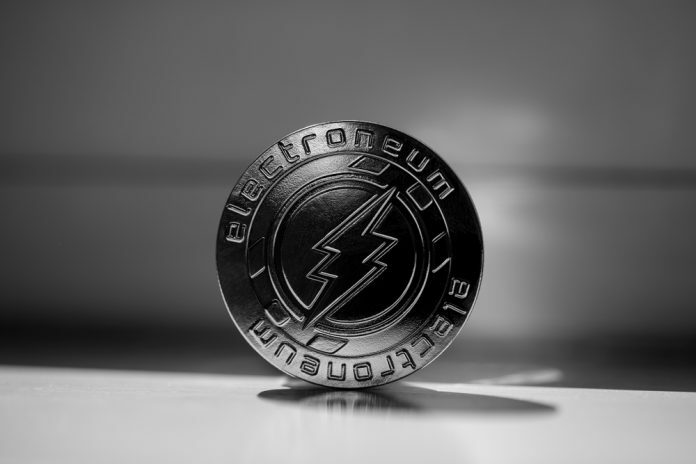 It is difficult to gauge how the Electroneum value will evolve exactly. While there is a chance this status quo can be maintained, one also has to wonder what the long-term future will hold exactly. As long as this overarching bearish trend remains in place, there is a good chance altcoins will not see any real changes either. This uneasy market momentum has been in place for quite some time already.